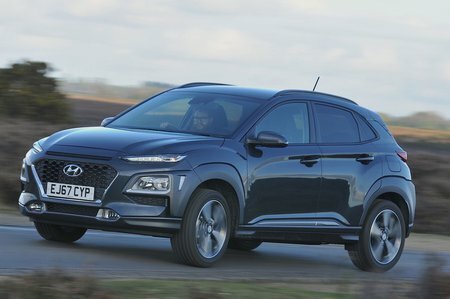 Hyundai Kona Performance, Engine, Ride, Handling | What Car? You might imagine that a dinky 1.0-litre petrol engine would struggle to haul around an SUV, but remember that the Kona has a smaller footprint than a Volkswagen Golf. 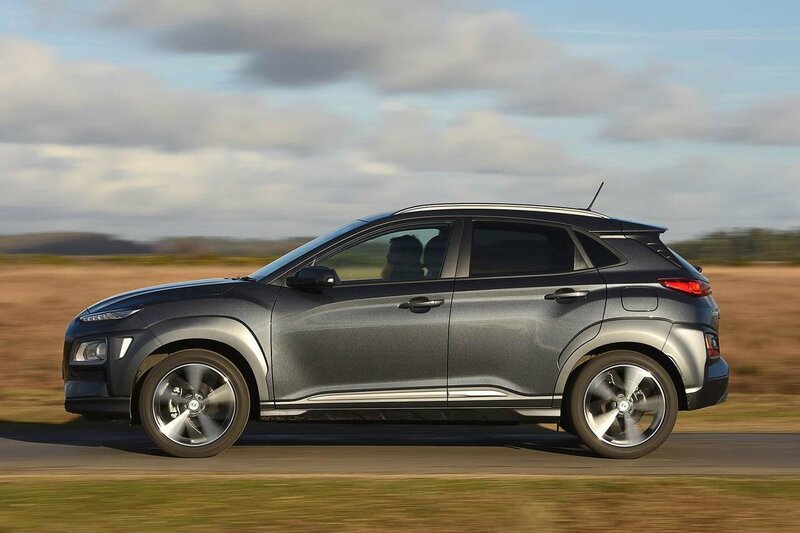 Outright acceleration is more than acceptable (0-60mph took 10.4sec in our tests) and, thanks to relatively short gearing, the Kona even picks up speed reasonably swiftly when you accelerate from low revs in the higher gears. If you want more performance, there's always the 175bhp 1.6 petrol. This version gets four-wheel drive and an automatic gearbox as standard and can officially crack the 0-62mph sprint in less than eight seconds. It's too pricey to recommend, though. As for the diesels, the 113bhp unit is slower than the 1.0 petrol, but not by much, and it still feels sprightly enough around town. It pulls well from low revs, picking up eagerly from 1500rpm, and gets the car up to motorway speeds in a fairly relaxed manner. The more powerful 134bhp version offers a decent slug of extra performance over its little brother, making it feel more at home on the motorway. It’s a fair bit slower than the 1.6 petrol, though. The Kona's ride isn't as agreeable as that of rivals such as the Seat Arona and Volkswagen T-Roc. It jolts more violently over potholes and expansion joints, and jostles you around more along scruffy town roads. There are less comfortable small SUVs (the Nissan Juke and Citroën C3 Aircross, for example), though, so the Kona is simply average for the class. Stick with 16in or 17in wheels to keep things on the right side of comfortable. The 18in rims that come as standard on Premium trim and above make you feel more bumps as they pass beneath the car. There’s no cheating physics here; the Kona doesn't handle as well as the best conventional hatchbacks. Its taller body inevitably leans more through faster corners and it never feels quite as agile as a Ford Fiesta or Seat Ibiza. 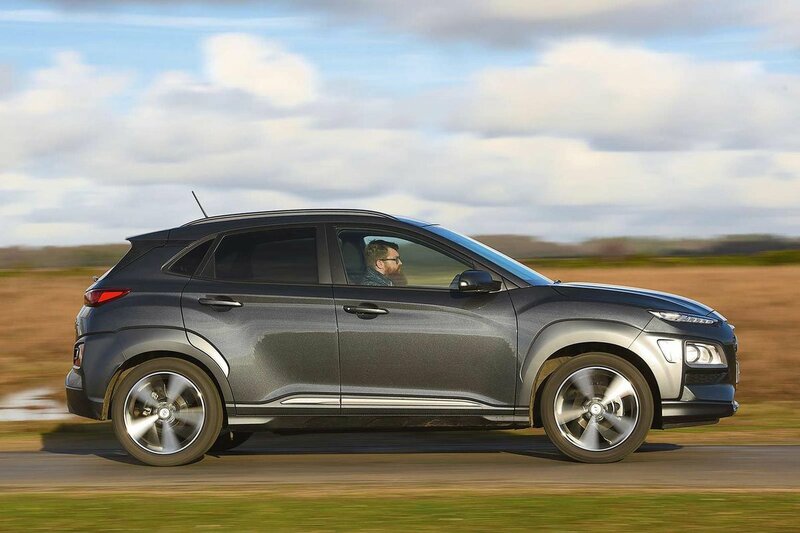 The margins aren't huge because, compared with most of its direct rivals, such as the C3 Aircross and Renault Captur, the Kona changes direction remarkably smartly, gripping well and staying upright even through tight twists and turns. That said, you’ll enjoy the experience of threading your way along a country road more in an Arona because its steering is more precise and tells you more about the relationship between tyre and road. The Kona isn't the quietest small SUV in the world. Its three-cylinder 1.0-litre engine makes a bit of a din when you work it hard and you feel some vibration through the soles of your feet. The 1.6 unit is smoother but doesn't sound particularly tuneful and becomes quite boomy when revved hard. As for the diesels, there’s a bit more vibration through the pedals than the petrols and the engines sound coarse when you work them hard. However, under normal use, it’s impressively subdued compared with other diesels in this class. At motorway speeds, the Kona also generates more wind and road noise than the best small SUVs, including the T-Roc. The gearshift isn't bad, although there isn’t the same positive snick as in an Arona as you shift from one cog to another. The automatic gearbox is a good unit that rarely frustrates, changing gears swiftly without fuss. Meanwhile, you might find the brake pedal a bit spongy and slow to respond.